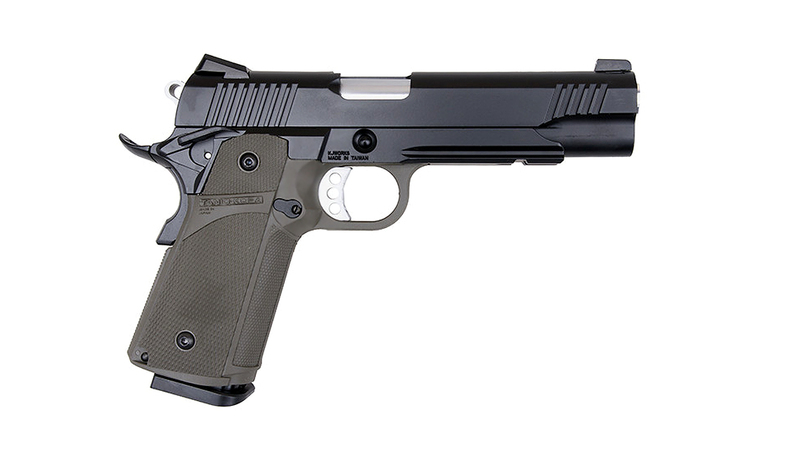 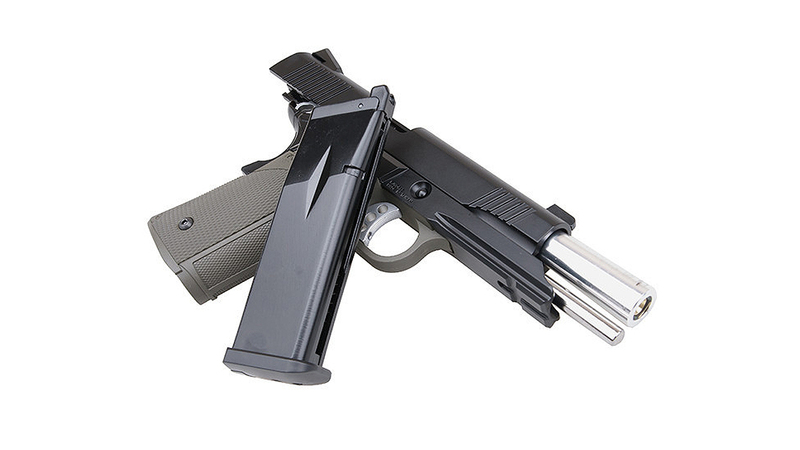 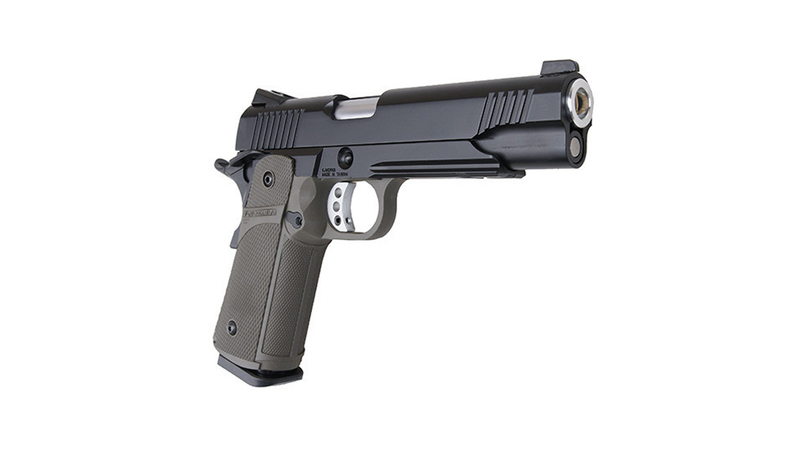 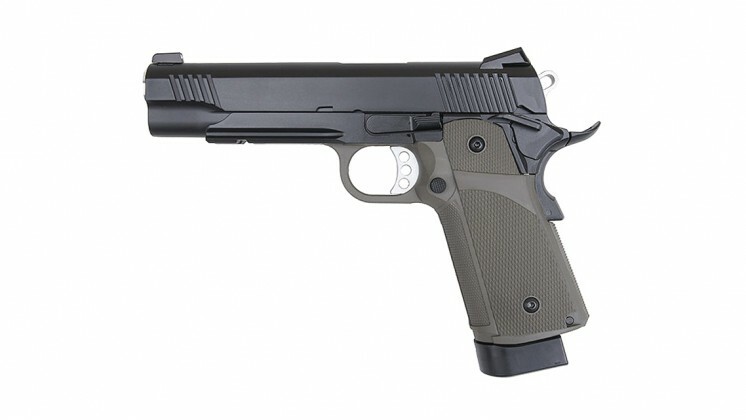 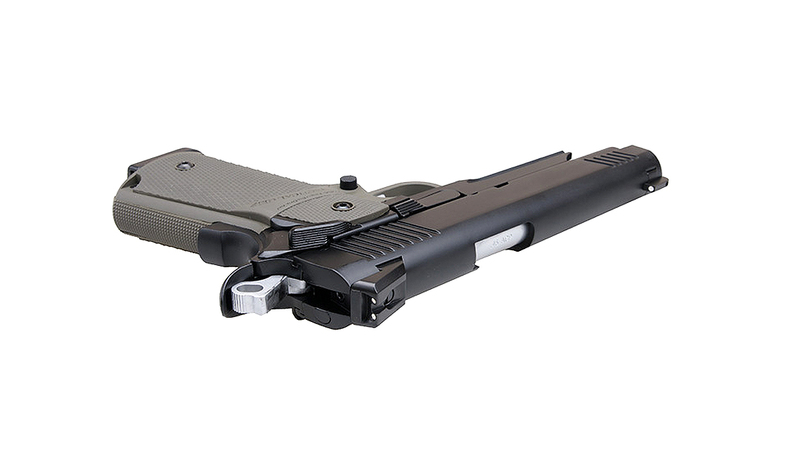 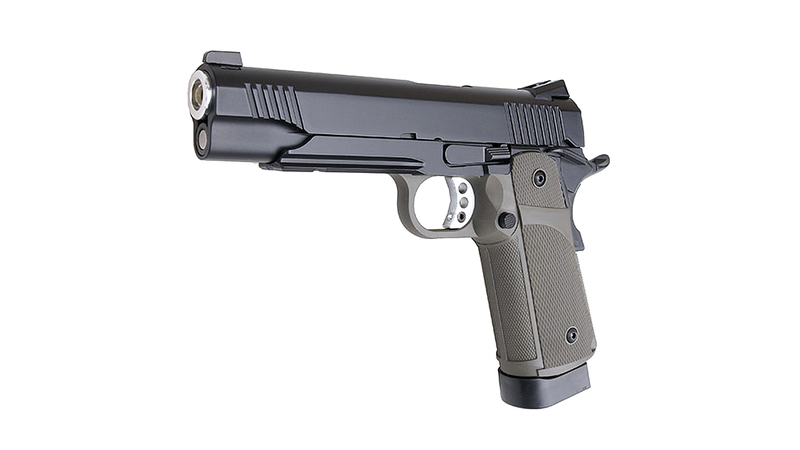 This KJ KP-05 HI-CAPA Pistol is contructed in full metal, and weighs similar to a real gun. 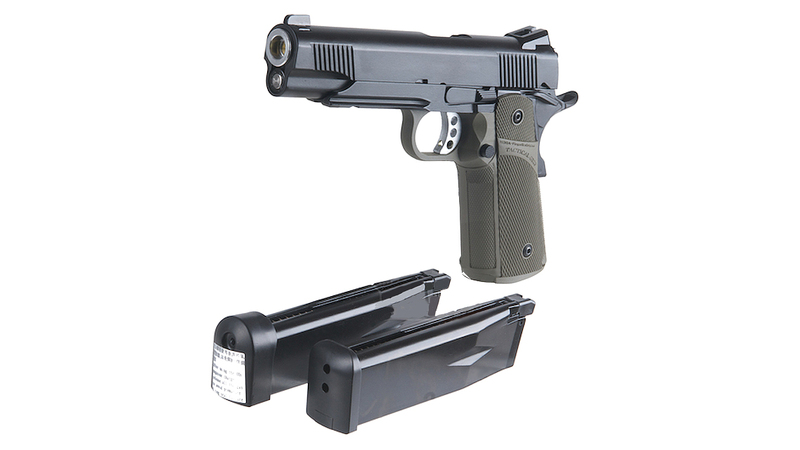 The OD pistol grip is a KOBA Fingerfits Original by Tanio Koba, and is made in Japan, whilst the lower reciever and metal slide are both made by KJ, in Taiwan. 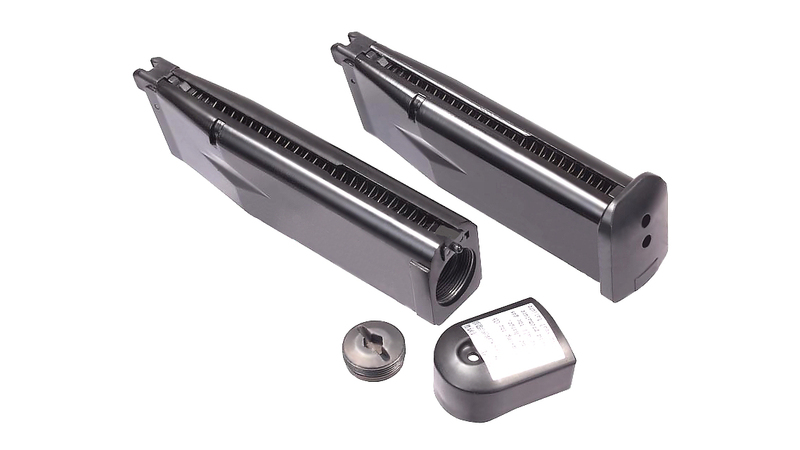 The KP-05 comes with one Co2 Magazine and one gas magazine, it produces up to 300fps with Top Gas, and 350fps with CO2. 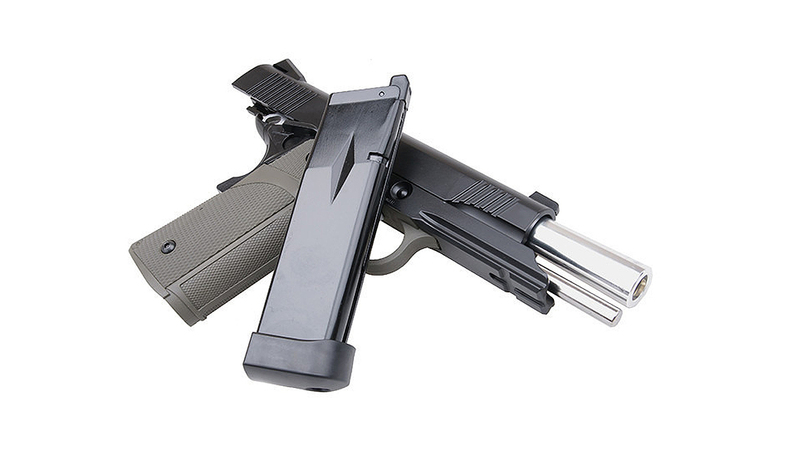 Both magazines can hold up to 28 rounds.